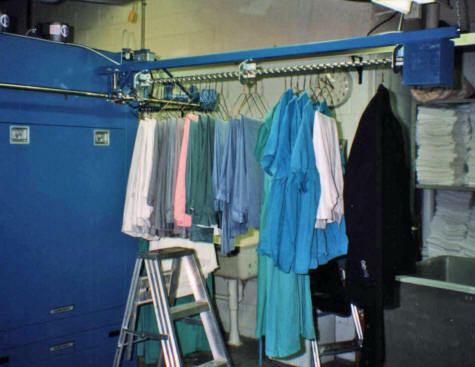 The Automatic Loader may be used as a buffer zone between varying operator hanging speed and tunnel speed, while also providing garment storage. Pneumatic Hanger Stop Standard, or with Mechanical Pawl only (optional), or Electric Solenoid Hanger Stop (optional). Automatic Takeaway Conveyor Storage Conveyors are also available with garment capacity equal to or greater than the loader.